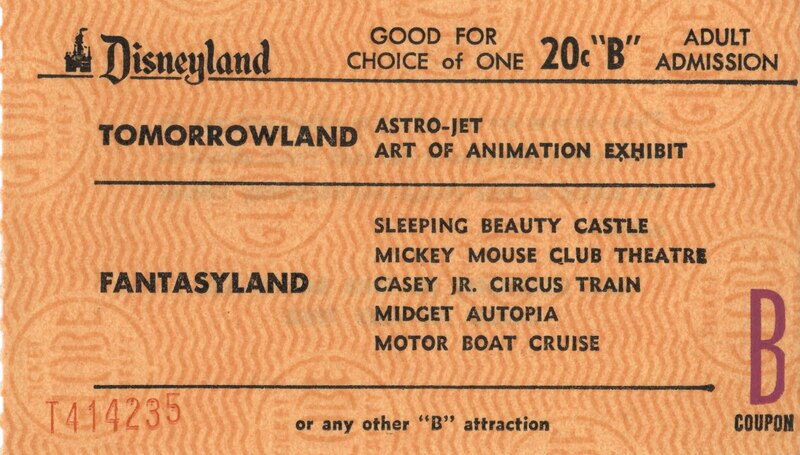 Naturally not every vintage Disneyland ticket book is going to be complete. This “just in” book from June 1960 is missing all of its “E” and “A” tickets, but since I’ve got plenty of spare “E’s” and “A’s” its fine with me. 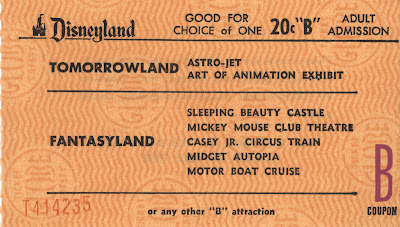 In fact, in a way these partially used ticket books are more fun – its neat knowing this book was in the park in the summer of 1960 and some lucky vintage guest tore out some of the tickets and used them. 50 years later I tore out the remaining three tickets and let me tell you it felt great! 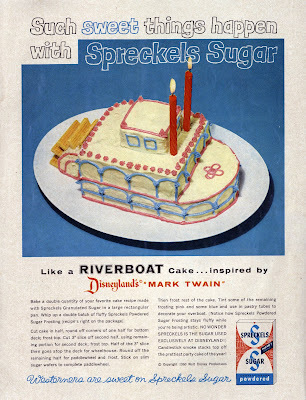 Too bad you can’t hear that distinct “Snap” sound, it’s intoxicating. 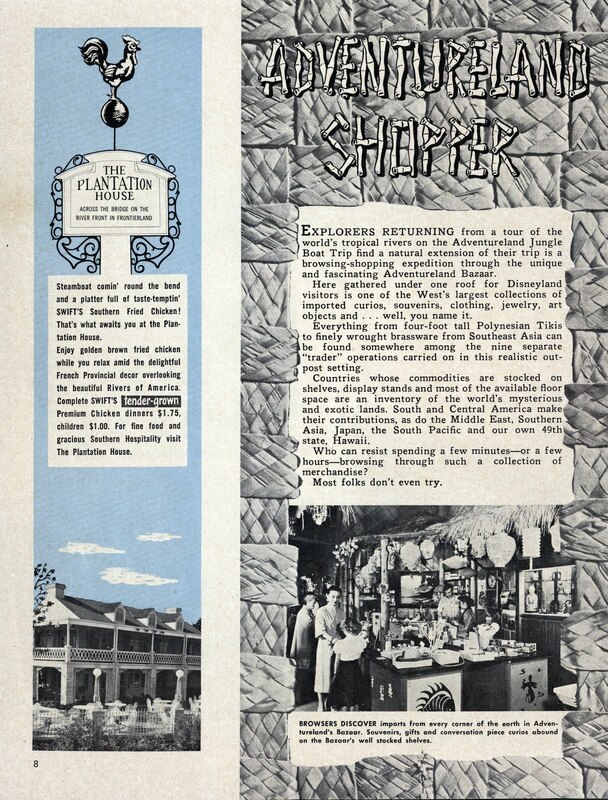 Awesome attraction list. 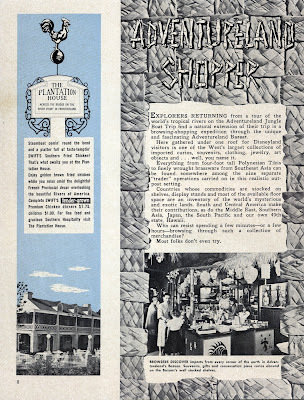 The Monorail still just circles Tomorrowland, Main Street still has a Shooting Gallery (has anyone ever seen interior photos of the MS Shooting Gallery?) and Fantasyland has an Omnibus! 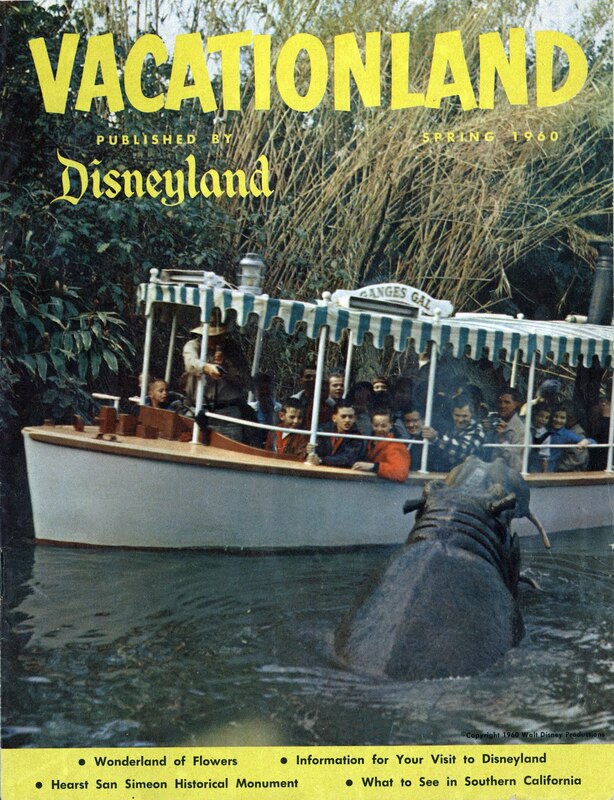 Here’s the cover to the spring 1960 issue of Vacationland. Swift’s tender-grown premium chicken dinners for $1.75!!!!! Before C & H had a sack of sugar on the Main Street drinking fountain, Spreckles was the sugar king of Disneyland. Come back on Bonus Sunday for the entire issue. 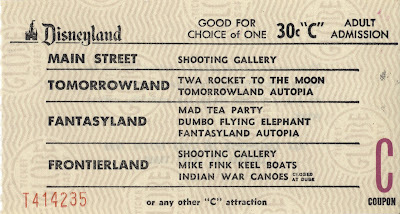 Wait, Main Street had a shooting gallery? Ha ha, JG, nobody took pictures of the shooting galleries! (Or almost nobody). 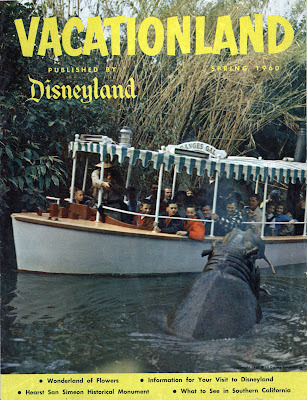 It's funny, there have been shooting galleries at Disneyland for years, and even NOW you don't see pictures of them. Wasn't the Main St. shooting gallery somewhere in the back section of the Penny Arcade? I think that's where I've seen it listed on the large DL wall maps. I would love to see a pic of it. Main Street Shooting Gallery? I don't ever remember one. Perhaps they meant the shooting vending machines in the Penny Arcade. That's the only thing I can think of. Speaking of shooting galleries, does anyone remember the bear shooting machines in Frontierland? As I remember a little mechanical bear would go back and forth in a forest themed "box". It had a light sensor built in it and your gun "shot" a beam of light. If you hit the sensor target on the bear, the bear would switch direction of travel. 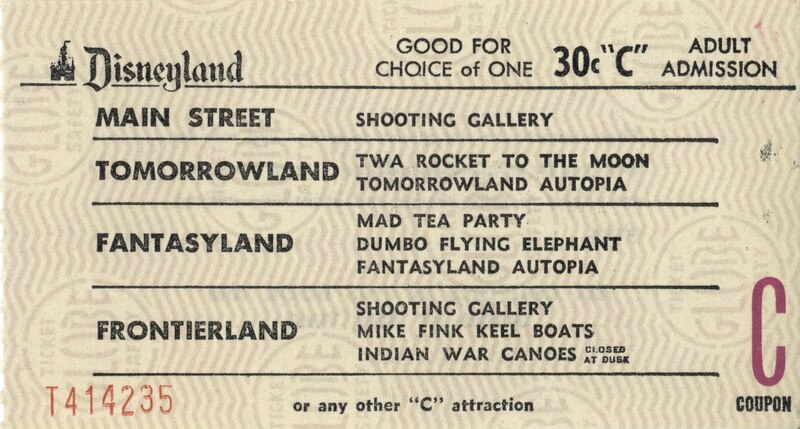 Just noticed that it takes a C coupon to play at the Main Street shooting gallery so they can't mean the vending machines.